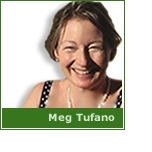 Along with her responsibilities as a founding member of SynaptIQ+, Meg Tufano, M.A. is Editor-in-Chief of The Journal For Social Era Knowledge. She is always happy to look at submissions, so please feel free to contact her if you have something important to say about The Social Era that you would like peer-reviewed and published in The Journal. Or, if you have a book to publish, please send your first chapter and outline to Meg for consideration. Besides publishing experience, Meg’s most valuable expertise for SynaptIQ+ is her knowledge of how to design online courses. She is the creator of an award-winning internet course that she developed and then redesigned over ten years for the Tennessee Board of Regents. It has won numerous "Exemplary Course Design" awards and has become one of the most successful online courses in the world. If you are looking for a consultant in online course design who can answer your questions, please contact Meg at the "Contact Request" area on the upper right of this screen to begin the conversation. Because she has been teaching at the college level for over thirteen years to high student and administration reviews, Meg has cutting-edge presentation techniques. She has also been a guest speaker at numerous international venues, from Maastricht University and Webster University in The Netherlands, to DARPA, the research arm of the U.S. Department of Defense, in Washington, D.C.
Meg has special knowledge in the area of critical thinking, having developed a new way of teaching the subject both for land-based and online delivery that is currently being considered by McGraw-Hill for publication. Last, but certainly not least, Meg has enjoyed an extraordinary education, attended St. John’s College (Great Books), received her B.A. from The University of Toronto (Victoria University) and her M.A. from Antioch University.